The 6 Item Layout for PowerPoint is an infographic label diagram template. 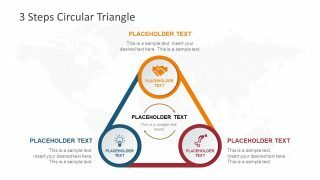 It is a one-slide PowerPoint with circular shape in the middle to demonstrate the main topic or core. While three rows on each side of the circle are label segments. These segments also show a 3D view of colorful rows. 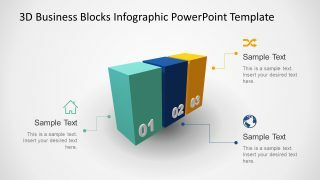 It is simple 2-way graphics PowerPoint to present a range of business concepts. Such as comparison, pros & cons, product features, core competencies, things to remember etc. further, infographics in this template include money bag, laptop, trend chart, user, worker, and building. 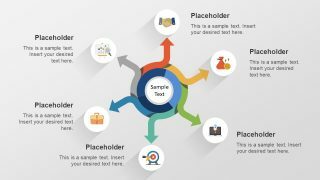 These are the generic infographics to represent several terms However, the users can replace them with different shapes and icons in PowerPoint. Because this is an editable 6 items layout template offering range of customization options. For example, changing the color of rows, infographics, and shapes. Similarly, change the background color with gradient, pattern, or image. 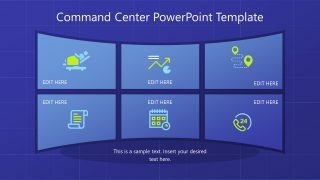 The 6 Item Layout for PowerPoint is a flat vector set of shapes, enabling users to add more elements when require. To do so, copy a row, change its color, text, icons, and adjust its 3D view in 6 items diagram. The users can copy this slide to a project proposal or marketing presentation. With this design, highlight the benefits of company’s solution over other brands. Alternatively, download traditional comparison tables for PowerPoint in SlideModel. Apart from business diagrams, the professional from other industries like education, science, and medical can also benefit from this slide. 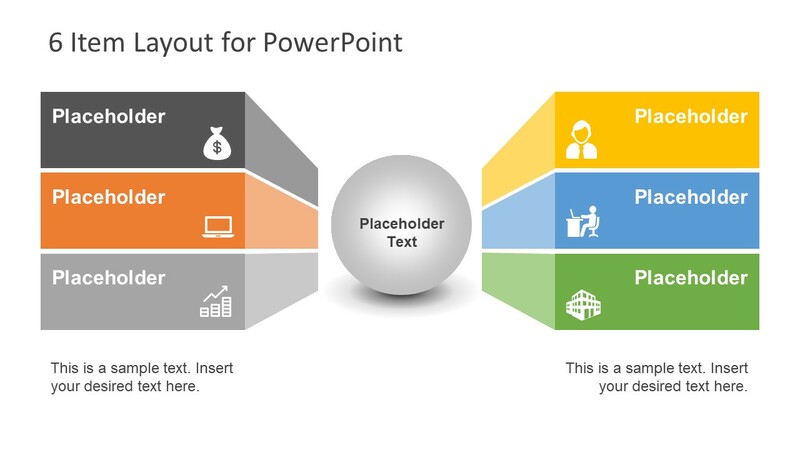 Because users can utilize this slide into their presentation to explain 6 steps, items, label diagram and much more.